Although he’s not the warmest, he definitely is efficient and makes sure you feel comfortable before leaving. I haven’thad any issues so far with the treatments he’s given me or recommended. Would go back. Although he’s not the warmest, he definitely is efficient and makes sure you feel comfortable before leaving. I haven’t had any issues so far with the treatments he’s given me orrecommended. Would go back. Due to a Zocdoc error, no appointment or confirmation was processed, so upon arrival his receptionist had no idea I’d attemptedto set a date for consultation. Nonetheless, Dr Kleinberg saw me after two patients, wait time was less than 30 minutes, the exam less than 10 minutes. Dr Kleinberg and his staff are fantastic!! Due to a Zocdoc error, no appointment or confirmation was processed, so upon arrival his receptionist had no idea I’d attempted to set a date for consultation. Nonetheless, Dr Kleinbergsaw me after two patients, wait time was less than 30 minutes, the exam less than 10 minutes. Dr Kleinberg and his staff are fantastic!! 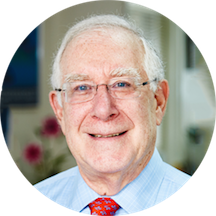 Dr. Charles Kleinberg is a board certified dermatologist accredited by the American Board of Dermatology. Dr. Kleinberg has been practicing dermatology for 30 years. His Manhattan office located at 1000 Park Avenue has been serving the local community for more than 25 years. He has a second location in Forest Hills, Queens and has been practicing there for more than 20 years. Dr. Kleinberg performs scrapings, biopsies, administers B12 injections and performs mole removal. Dr. Kleinberg also administers Restylane and Botox injections for fine lines and wrinkles. Dr. Kleinberg is an attending dermatologist at both Mount Sinai Medical Center and Beth Israel Medical Center. His professional presentations and publications include American College of Chemosurgery, December 1980; Management and Prevention of Problems Associated with Chemosurgery of the Head and Neck" and Journal of the American Academy of Dermatology, November 1982, "Metastatic Basal Cell Carcinoma". Dr. Kleinberg is an experienced Dermatologist offering the highest quality care and personal attention. His friendly and sympathetic manner engenders confidence and trust. His attentive staff has the highest regard for your complete satisfaction. He took one look at my hand and knew exactly what to prescribe. Highly satisfied. He was GREAT! I couldn’t ask for someone better. Very professional and also I was seen at my appointment time. Seem somewhat Racist towards me! Try to compare the two of us! When I am African American and in my fifties not seventy yet!! Dr. Kleinberg took me about 5 min after my appt time which was already better than most doctors. He then took a few minutes to get to know me and helped me with each of my concerns. He took care ofone skin issue right on the spot which was a huge money saver. I truly appreciate his kind manner and efficient treatment. I definitely recommend. Very thorough. Personable and knowledgeable! Great visit! Thank you! Professional, pleasant and to the point. There’s nothing more assuring than medical care from a physician with decades of experience under his belt, Dr. Kleinberg is irks for me and I highly recommend him. Good mannered, decisive and quick service! He's awesome, right to the point . Dr. Kleinberg was a delight to meet, along with his receptionist. I definitely recommend him! Very dismissive doctor, did not want to think too much about my issue, more concerned with making small talk. Very fast and he didnt do a full body check which is usually required for the diagnosis he gave. I used to work in dermatology. Dr. Kleinberg and the receptionist were extremely efficient and friendly. The wait time was appropriate and they even offered me free cleanser samples based my skin type. Very professional. Reception staff was very friendly. Will be going again. Great Doctor. Hopefully the medication has given work ! he knew exactly what i needed for my skin and was thorough and quick. Excellent staff; Jasmine (I think that was her name) is courteous and organized and highly competent (not common in these days). She put me at ease immediately and the office itself has a down to earth neighborhood not like the sterileUpper East side dermatology offices and clinics that act like they’re doing you a favor. Dr. Kleinberg is superb. I will follow up in terms of how my treatment worked out but he instantly assessed my skin problem, eased my anxiety, and swiftly told me how we were going to resolve my problem. I liked his droll, understated style. He was intelligent, interested in my life, what I do for a living, etc. - not in an invasive way but in a simple cordial way, the way a doctor should be for goodness sake. Very happy to have found Dr. Kleinberg! I thought the visit was short. I went for a consultation of hands and face. The doctor just gave prescriptions right away without examining my Acne. Really a great person. highly reccomend. I was a bit put off because I was told I should just take my daughter to a dematology clinic, why??? What is the difference? It was just a little weird. Short and sweet. Not much personality. Super friendly and knowledgeable. I'm really happy with everything about this doctor & his practice. I highly recommend him! I saw this doctor four times over the course of two months for a skin lesion. He gave me injections and prescribed ointments, hot compresses and, at one point, antibiotics, as it was infected. At the last appointment, he said hewas going to remove the lesion and biopsy it. As he did so, I heard him remark under his breath that he had dropped the biopsy on the floor. I visited another doctor who said that happens sometimes and would not preclude doing the biopsy so I should call for the results. When I did, Dr. Kleinberg said he had not biopsied the lesion because it was benign and a biopsy was not needed. His suggestion was that I return for another visit, a suggestion I did not take. Even with four visits in two months, he never remembered who I was or what my problem was, and he asked me the same personal questions at each visit. I have no faith whatsoever in this doctor's medical judgment. Boyfriend and I love this office! Very kind, saw me right away and I felt I was in very good hands. He was efficient, smart, to the point, and had a nice bedside manner. Top drawer! He was attentive and took care my scar issues. D. Kleinberg's office was well organized. Dr. Kleinberg was pleasant. My only complaint was he wrote a prescription for a lotion that turned out to have an over the counter version and was less than the prescription version. Fortunately, thepharmacy I have patronized for almost 20 years informed of the difference. Very good experience overall. Will recommend. Professional and most important made me feel very comfortable.